Dr Eileen Connolly is a senior lecturer in politics in Dublin City University. Her research interests include Gender and Politics, Politics of Development and the relationship between States and Civil Society. 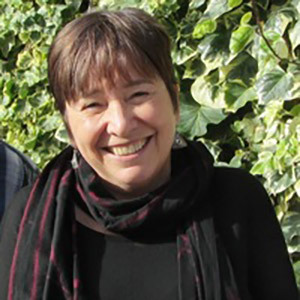 Dr Connolly has led a number of research projects for the Irish Department of Foreign Affairs, official development agency Irish Aid, including a major study of local civil society organisations in Tanzania, Ethiopia and Central America. Dr Connolly was previously Director of DCUs Centre for International Studies and she has recently completed a six year term on the fifteen person Executive Committee of the ECPR (European Consortium for Political Research), which is the major professional organisation for this field in Europe, with over 400 European institutional members and associate members in over 50 countries. Dr Connolly’s areas of expertise are: Gender and Politics, Politics of Development and the relationship between States and Civil Society.